Remodeling and decorating your home is really exciting but it can also be expensive and daunting, to say the least. Do you know what it is like to walk into a room and just feel the comfort and want to stay there? That’s my goal when I remodel a room. For whatever reason you decide to remodel your home, you will need coordinated lists to organize and complete the project first. I need to begin this with- I am not a decorator. In fact, I have trouble hanging pictures straight or at the right height. My idea of decorating has been to buy a piece of furniture, a lamp, pictures, rugs, etc- but never at the same time! I am never sure if what I have is still in “style’ when I buy something new. A couple of years ago we had a fire in our home resulting in every room being remodeled, and my skills at list making became a very necessary “system.” All of a sudden I was forced to put my lack of creative skills to work and honestly I didn’t’ know where to start. Thankfully, there are wonderful resources to help people like me. I admit I had lots of advice from family and friends, but they didn’t always agree with each other. Then, throw my husband’s suggestions in and you can quickly understand my confusion. You may also find that asking for opinions isn’t always the best idea. Color, design, and decorating are really personal and I found the best way is to be sure YOU like it because you are the one living in that room every day. I will say my daughter’s advice and taste were appreciated because she knew so much more about what the trends are now and she has always had a good “sense” of color and design. If you are ready to remodel your home, you will need to set some goals, prioritize and complete an overall plan so that you are done everything flows together and you love it. 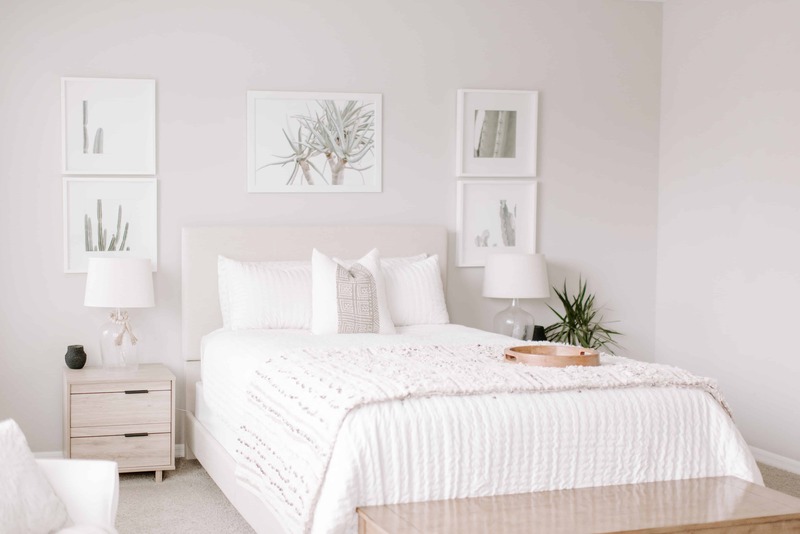 When you want to start making big changes in your house, it can be very scary because you know it will be pretty expensive and you want it to look wonderful. Having a plan in place greatly reduces the chances of making a BIG mistake! It’s not like you can start over once you have invested so much money and time. I am not the best decision maker and I tend to second guess many of my choices. So, I really do a lot of research when I am buying something big or taking on a big project. Actually, having a plan in place makes it fun because you know where you are going and can set your own pace for getting there. Using the free decorating planner, which is set up like a workbook for your whole house, walk from room to room and start making a list of everything you need or would like to replace for that room, and also make note what you would like to keep. As you are walking around your house, you may decide you need to declutter a bit first and will find How to Organize and Declutter Your Home very helpful and reduce the stress of getting it done. Make a list for every room. What are your favorite colors, do you know?. I recommend taking time to go to websites, magazines, and Pinterest and just look at the colors of the rooms. When you see a room that makes you feel good just looking at, save it! Eventually, you will start to see that you are gravitating toward one color group. I LOVE paint chips, so when you see a color scheme you like, head to your nearest paint store and start a collection. Paint chips can help you keep colors coordinated, yet have soft and bold colors at the same time. Don’t worry if your spouse likes “light” colors and you like bolder, darker colors. You can both be happy by really using the colors that coordinate on the paint strips you chose. I never ever thought I would paint my living room walls with the lightest color choice, but in the end, I did and love it!! The other colors look beautiful in hallways, bedrooms, and bathrooms. I even found some small end tables to paint with the darkest shade and they turned out beautiful. You probably already know you can buy little jars of sample paint. This is great because you can put a little on your walls to see the color in all light. Take your time and be sure to step back and see how the colors will flow to adjoining rooms and hallways. I swear, I had the living room ⅓ painted with samples before I finally settled on colors. But in the end, it was all worth it and turned out even prettier than I imagined. 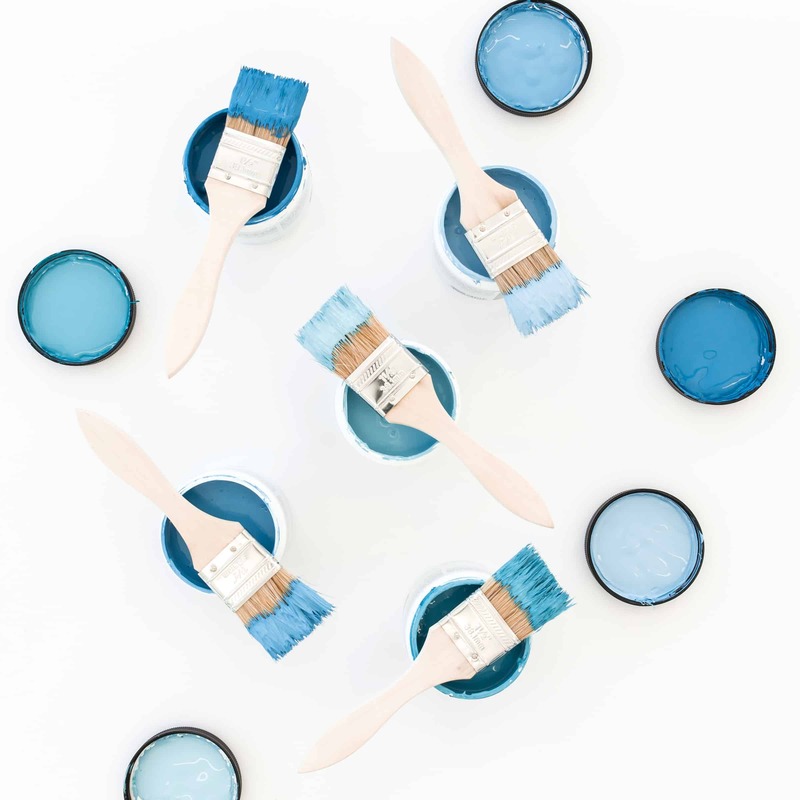 Painting is something you can start with as soon as you have a plan for each room, and still tackle one room at a time, but you now have a color scheme. One more thing about paint, research quality. I’m not recommending a certain brand of paint but I am suggesting you use high-quality paint that covers well, it’s worth the investment. This next step is the most time consuming but also the most fun. You get to shop and shop without spending any money (yet). You already have a plan, so you are ready for details. Depending on your personality, you may look at the whole project together or take one room at a time. Really, some people like to see the “big picture” right away and others like to work step by step. 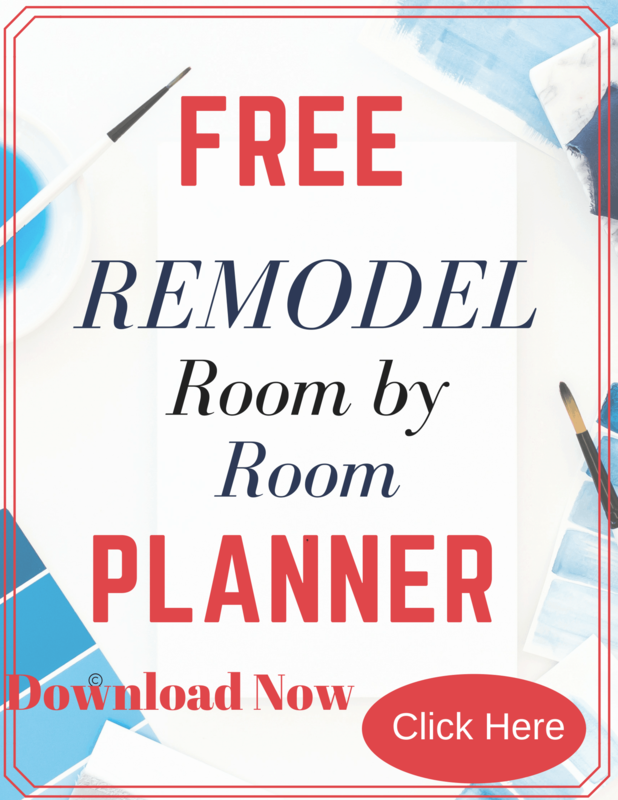 Either way, you need a Remodeling Planner with a page for each room. Get a free copy of the planner I created for myself and keep all your work together in one place. I pretty much lived on the Houzz App saving my favorite rooms. Pinterest is Your New Best Friend. Start saving all of the ideas you find.- Pin and take notes in your planner. As you narrow your choices, don’t delete any pins because you may need them or someone else will appreciate all of your hard work. Your goal is to narrow your choices down to the top 3 for each area always keeping in mind that everything needs to fit and flow together. We already talked about how to do that with paint, but if you are replacing flooring, rugs, furniture, be sure to picture them all together. Don’t forget to look at your floors. Are you going to add new carpet or new flooring? I knew I wanted hardwood floors, so rugs came to the top of my list fast and the many choices soon became overwhelming. 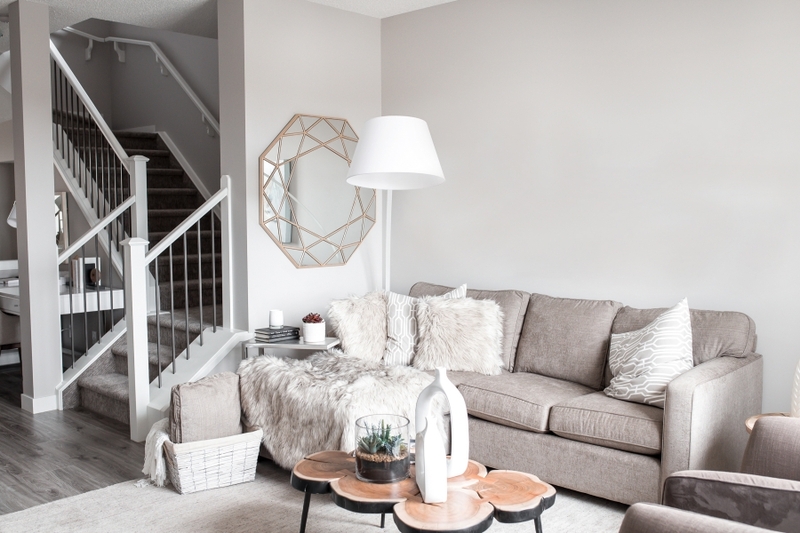 I did my research here and am happy to share with you what I found in 5-Important Tips to Use When Buying Area Rugs, where tips on size, color, material, and placement will be very helpful. We decided to put a ceiling fan in each room and have not regretted it! Here is the research I did Top 5 Factors to Consider When Buying a Ceiling Fan. Your Planner should look very messy with lots of notes and scribbles. It may be a good idea to print a clean copy and enter in your final choices, but don’t throw away your drafts!! You now have a list of what you like for each room with vendors. item numbers, colors, and prices. You have likely been aware of your budget along the way, but now is the time to re-calculate and make adjustments. The next step of finalizing is to Prioritize. You now not only have a complete plan to remodel or decorate your home, but you also have a picture of what it will look like and you know you are going to love it! Knowing you have the “big picture” planned you don’t need to feel overwhelmed or a sense of urgency. Just enjoy changing one room at a time. The other nice thing about this plan is that it can go as slowly as a budget allows or quicker if need be. 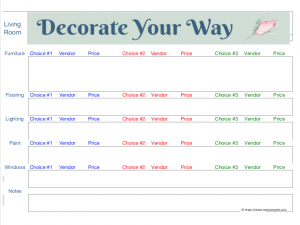 Remember to download your Free Decorating Planner. To keep your new rooms clean, check out, Cleaning Tips with 10 Best Cleaning Products for Your Home. Please send me questions and suggestions. I would love to hear if the planner works for you. Let me know in the comments below! Previous Post: « Ready To Cut The Cable TV Cord? Save Money with Live Streaming!